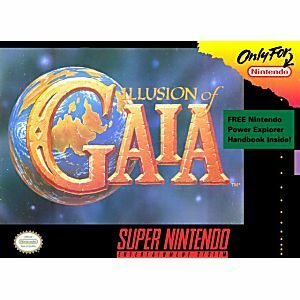 Illusion of Gaia SNES Super Nintendo Game Cartridge Cleaned Tested and Guaranteed to Work! Journey into the dark side of an ancient civilization. Radiating an ominous light in its path, the Chaos Comet threatens the existence of the planet. Battles erupt and a tentative peace is returned to the lands. Danger lurks as the Chaos Comet orbits and dreadful beasts lie awaiting. In the Age of Exploration a boy named Will is born. Tragedy strikes during an expedition to the Tower of Babel separating Will from his father. Telekinetic forces awaken as Will returns to South Cape. Armed with his transformation abilities of two great warriors, Will must save the planet. Played this as a kid in the 90s. Bought for a gift for my brother. He loves it! Canjee este juego por los puntos de recompensa y valió la pena. Buen juego, buena saga. This game is one of the best action rpgs for the snes. To my taste, it stands right bellow secret of mana and Secret of Evermore. This game is surely an amazing hidden gem! Ótimo produto, chegou em perfeito estado e em excelente estado de conservação! Podem comprar sem medo. 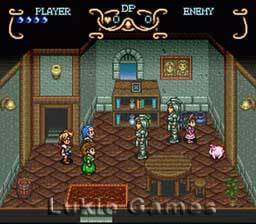 This is a game for all who love games like Zelda and especially a Link to the Past. They are very similar in the way they play. I had always heard this was a good game, and I am here to say it is too. Buy this game! You won't be dissapointed. Although I dont think this game is a very good example of SNES role playing its still a fun action-adventure game absolutely worth buying. The sequel to Soul Blazer and a good game in itself. I bought this game when was nineteen as a reward present for surviving a summer job. I'd heard of it of course but never got around to playing it when it was new. Te game takes place in a sort of alternate universe version of Earth, one centuries or even eons before the world we know came into existence. The story focuses on Will, son of Ulman, who accompanied his father on an ill-fated expedition to the Tower of Babel. In fact Will alone returned alive, though he was never able to satisfactorily explain the circumstances of his escape even to himself. Some time after te expedition he began to develop mysterious psychic and telekinetic abilities. At the sae time a rebellious young princess named Kara escaped from the castle of her father King Edward and made her way to the village of South Cape where Will lives. After the two meet, the girl is kidnapped by her father's soldiers, Will is ordered by the king to bring a mysterious item from his father's belongings to the castle. Unfortunately, he doesn't know what thhe item is and nor do his grandparents, a turn of events wich can't possibly sit right with the king. Thus begins Will's adventure. The gameplay is fairly interesting. Will has the opportunity to learn a variety of special moves throughout the game, all of which he'll need in order to proceed. Even better, he will gain te ability to change into not one but two alter egos at various points, each of which has his own unique set of abilities. This sort of takes the place of having supporting characters since this is an action game not a turn-based one. My only real complaint wit this game is that at several points in the story you'll find yourself doing nothing but waiting for the game to trigger whatever event will trigger the next part of the story. There are at least two instances where this happens. Control wise this game is fairly responsive, although some of the later moves can be a bit tricky to pull off at first. Generally speaking though unless your controller itself is acting up you shouldn't have too much trouble once you learn how to perform each move. 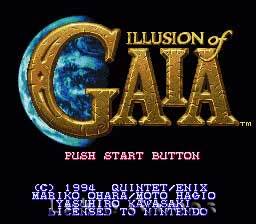 The audio in Illusion of Gaia is a mixed bag, not because the music isn't good (quite the contrary in fact), but because much of it is used far too often and so some tunes will definitely get a bit annoying. Fortunately the best tunes, such as those in the Great Wall and the Pyramid and the final battle are used only in those particular instances. The ending suite is also some of the best music in the game. Sound effect wise it's nothing spectacular but a lot of the effects are still quite cool, such as some of the laser effects the monsters produce. And while Will doesn't really have a sound effect for taking damage except perhaps a short, lmost nonexistent sound as though he's drawing in breath over clentched teeth, both Freedan and Shadow, his two alter egos, have a grunt for when they take damage. Te sounds for when enemies take damage are the same as they were in Soul Blazer. Overall tis is a game well worth the time spent to play it despite its flaws. The story is fairly interesting and sheds a whole new light on our planet's history. So I'd definitely advise giving this game a try. 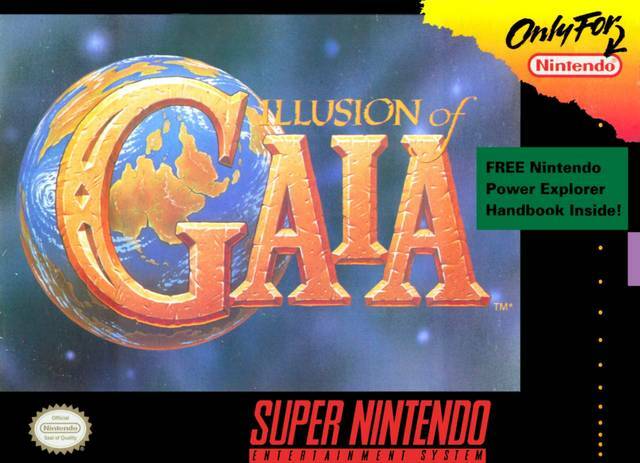 Illusion of Gaia is a fun game, with really nice graphics and simple gameplay similar to Link to the Past. It's not very challenging though, and it won't take long to beat. The story is interesting, but the music is just okay. Definitely worth playing though.